… A sommelier may be responsible for the development of wine lists, and books and for the delivery of wine service and training for the other restaurant staff. Working along with the culinary team, they pair and suggest wines that will best complement each particular food menu item. This entails the need for a deep knowledge of how food and wine, beer, spirits and other beverages work in harmony. A professional sommelier also works on the floor of the restaurant and is in direct contact with restaurant patrons. 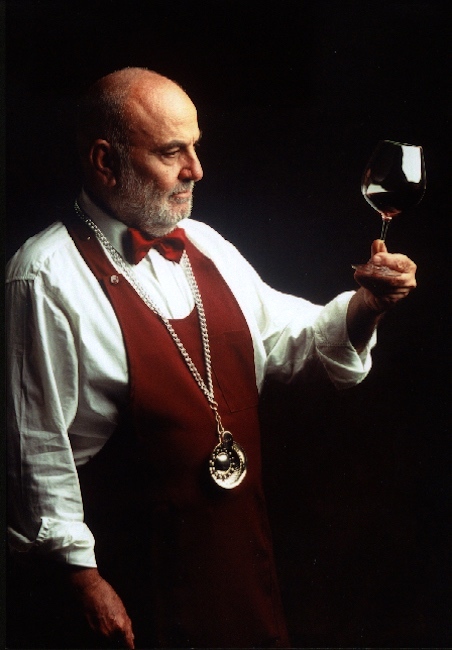 The sommelier has a responsibility to work within the taste preference and budget parameters of the patron. 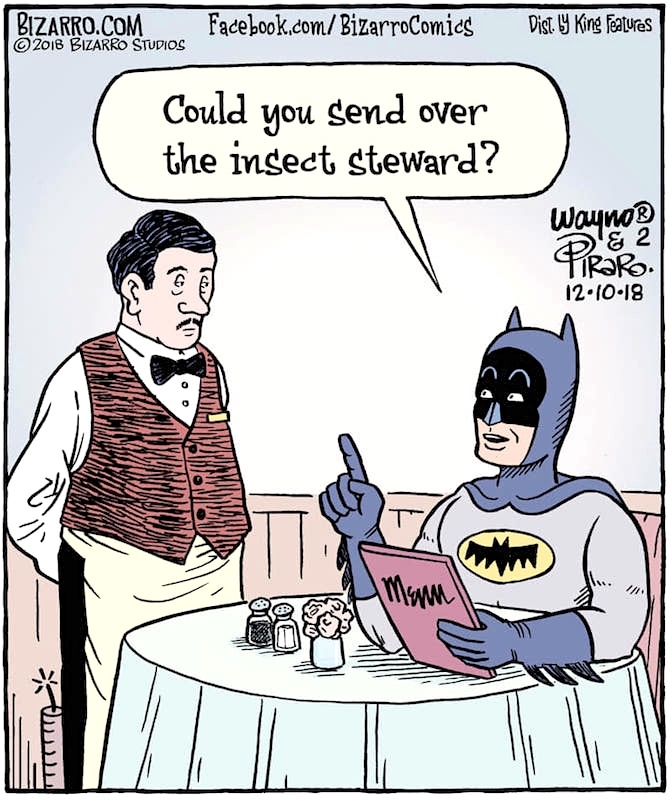 In #1, we’re contemplating some combination of a wine steward for a human diner and an authority on fine insects for a bat diner: an insect steward. Bonus. Bats feed on insects. What feeds on bats? Such a predator could turn up in a temple of fine dining (well, in such a place in a cartoon) asking for guidance in selecting a suitable bat to order — asking to consult the bat steward. 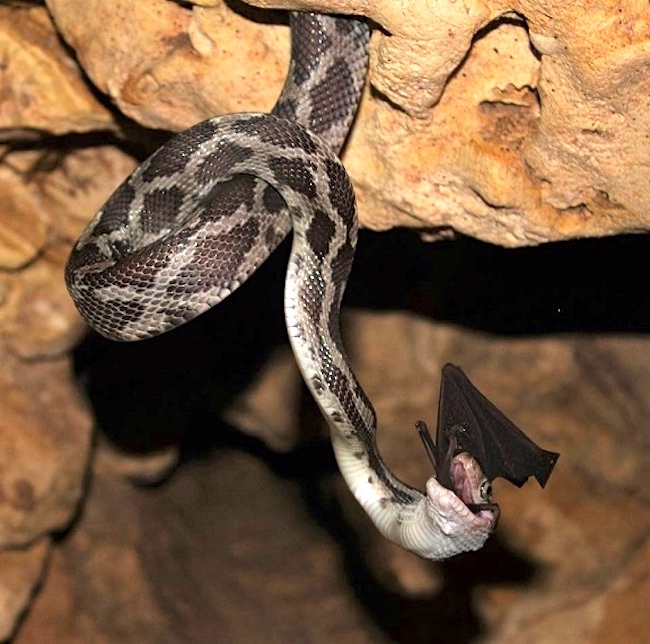 … The biggest predator of bats though are humans. The species of snake in the cave is called the Red Rat Snake [apparently the yellow-red rat snake (Pseudelaphe flavirufa) in the family Colubridae]. They live in Mexico, Belize and Honduras. … The cave is near the village of Kantemo in the Mexican state of Quintana Roo, not too far from Playa del Carmen and Tulum. This entry was posted on December 10, 2018 at 7:17 pm and is filed under Language and animals, Language and food, Linguistics in the comics, Understanding comics. You can follow any responses to this entry through the RSS 2.0 feed. You can leave a response, or trackback from your own site.